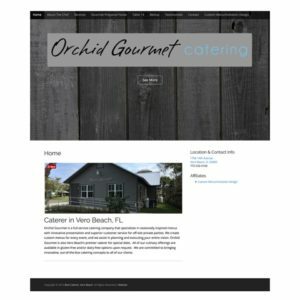 Having a website is necessary for all businesses no matter the size. Chances are, many of your customers will first learn about your business from visiting your website. A site that looks clean and is easy to navigate makes a big difference, while a confusing one will drive people away. Even if you’re not selling your good or service online, your website will direct potential customers looking to contact you. If you have no online presence, it’s like you don’t exist. I also offer website maintenance packages and hourly charged website changes, or updates. For any website design or development needs, please contact me for more details or to receive a quote. Getting to know my clients is the best and probably the most important part of my job. We can meet in person, over the phone, or Skype. This first conversation is a chance for us to collaborate on ideas. I have a website worksheet I will have you fill out and email back to me. If you have any ideas, inspirations, colors, or pictures, I need to see them! I’ll send you an estimate within a week of our initial conversation. To reserve my services, you will approve the estimate and send a 50% non-refundable deposit. From there I’ll create a detailed timeline to ensure that everything flows seamlessly. The fun begins! I’ll start by creating a mock-up of your homepage. I ask that you tell me exactly how you feel—don’t hold back! You will receive two additional revisions free of charge. Once you sign the final proof, I will work on developing and uploading your entire website to your hosted domain. Final payment of the project will be due at this time. You are responsible for all website content including text and images. Call 772-643-8199 or send an email to get started. Copyright © 2017 Jill Alexander Design. All Rights Reserved.